Normally the medieval sword（longsword，arming sword，falchion etc）have a globular pommel at the end of grip.I have seem some people start to call it “counterweight ball”.Their opinion is because the blade made the balance point too forward so they need that pommel to put the balance point(they also said it is not a good design because that make the grip too heavy )That sounds like “it is a remedy for a mistake”.Is that real？I mean first there are a lot of way to change the balance point of a sword,like make a fuller or tapper. On the other hand,some axe-blade falchion have a pommel,too.So I think that when swordsmith made sword,they have already knew what side of pommel should be in the top of grip and base on that,designed the blade to keep the balance point in where they want. Which one is right?I wish I can get a relative sure answer. Note that counter-weight pommels are often combined with fullers and taper. Usually combined with at least taper. The are plenty of swords where the pommel aids holding the sword rather than acting as a significant counterweight. Light-hilted swords like those often balance at 7-8" (17-20cm) past the guard. Overall, they tend to be lighter than swords with heavy pommels/hilts. These tend to be cutting swords (slashing, rather than chopping). Where the pommel is very useful for adjusting the balance is for getting the forward pivot point where you want it. Note that the forward pivot point is called the "centre of percussion" in engineering, physics, sports science, etc., but sword people usually (mis-)use "centre of percussion" to mean nodes of vibration. Where the pivot point is matters a lot for the handling of cut-and-thrust swords. It isn't just a matter of putting on the heaviest pommel you can tolerate to bring the centre of mass as far back as possible. Also note that a lot of large pommels are hollow, and weigh much less than they appear to. They work as finger holds, levers, etc. as much, or more than, they work as counter-weights. Every part of the sword is part of its mass distribution - blade, pommel, guard, even the grip. How heavy a pommel you need depends on what you want the blade to be like, how you want it to behave and how the rest of the furniture affects all this - a longer hilt, for example, effectively makes a pommel heavier because it gives additional leverage and momentum to however much mass it has. So no, it's not at all accurate to call pommels a fix for too heavy blades. The blade, guard, pommel and grip are all designed as one unified whole, each affecting each other in various ways, and they have to work in harmony from the ground up. You can't just slap on a heavier pommel to fix an error in the blade's mass distribution because it would also affect everything else about the sword's handling and structure. Any claim that assigns a single purpose to any component of a sword is, as a rule, incorrect. The guard is not there only to protect your hand from attacks or to stop it from slipping onto the blade, it does both and several other things besides; a pommel is not there only as a counterweight or to stop your hand from slipping off the grip, it also does both and several other things besides. That's what I believe,Thank you very much! Taper and fullers are a way of lightening the blade progressively further from the grip, but if a center of mass closer to the grip is desired, the lightest way to do that, is to put weight as far behind the grip as possible. Someone who argues that a pommel makes the grip heavier than another method is not making sense. It certainly is not just a counterweight, a disc pommel feels very good in the second hand, and can pivot easily, without losing control. All pommels make a grip a lot more secure, protect the hand when slamming into shields and some other harm that may befall it, as well as providing an area on which status and bonds can be displayed. There are limits to what you can do with fullers and taper while keeping the blade stiff enough (through thickness), and wide enough. That is, there are practical limits to how much weight you can take off the end of the blade while retaing desired function. If you have done what you can by removing weight from the far end of the blade, and you want to bring the point of balance closer to the hilt, you need to add weight at the hilt end. A counter-weight pommel is the most efficient (in terms of how much weight you need to add) to do this. The least efficient is to make the base of the blade heavier, and in between that and a pommel in efficiency, you have a heavier tang, a heavier guard, a heavier grip. All of these methods are used. So, strictly speaking, you never need a pommel as a counterweight - you could, for example, just make the tang heavier (longer, thicker, wider). But as Bram wrote above, a pommel is an efficient counterweight. 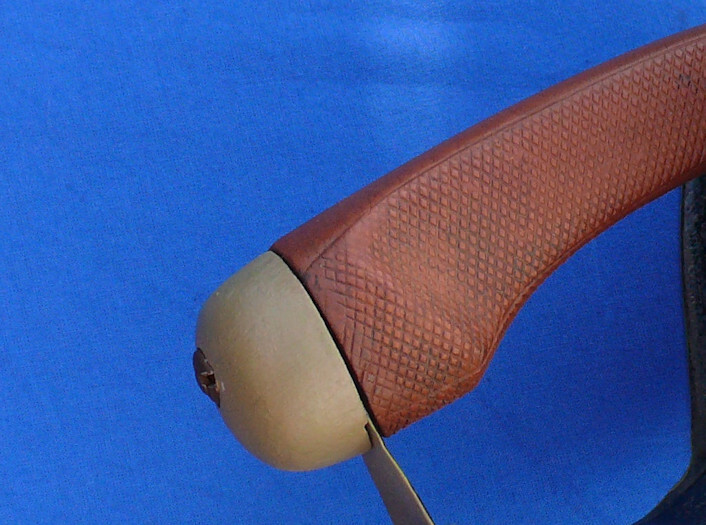 In addition to some of the other functions listed above the pommel adds a little more momentum to the blade when used with traditional western cutting technique as its inertia wants to go "up" while the blade wants to go "down." It's also worth noting that the blade forgers at that time were not usually the furniture makers, finishers, and customer inface. The furniture and finishing determined the final overall balance & handling characteristics, which were started by the blade forging. Blades were often forged in one place, sold and delivered to another place. Sometimes different countries. 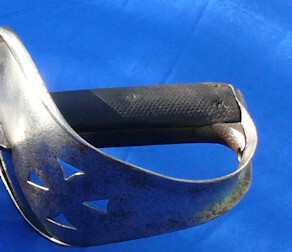 German blades were sold to fitters in the British Isles and Scandanavia, who fitted the blades out and sold the product to the eventual customer.Check into the Highland Scottish Claymore - local furniture of fairly unique design mounted on blades usually of German origin. Many interesting points made here. I think it is obvious that the pommel served many purposes and I don't think it was just to correct a poorly placed balance point - ''rectify a mistake''. If that were the case you would have to say every medieval blade was faulty. However having a separate pommel allowed for fine adjustment of the swords handling in an age of hand made blades. It is interesting that the separate pommel effectively disappears in mass produced military swords of the modern era, late 18th century onwards. The necessary weight is supplied by the guard itself.We still refer to the pommel of a 19th century sabre but it is usually just a term to mark the end on the handle. One exception to this is the massive cast iron pommel of the British 1908 cavalry sabre. Perhaps this was to rectify a design mistake? The points "it is bad to balance the blade by a big counterweight ball,European way for balance the blade is simple and crude” are actually from some Chinese people (I thought they may were trying to said something like"Chinese swords are better" but if that is what they mean,that is a big mistake because most of Chinese sword have a big copper pommel for put the balance point back. ".I don't think they are right but I don't have much document to show them"that is wrong".The Chinese sword have that "counterweight pommel"is not enough because it is more like someone said you are bad,and you said they are worst.I want to found something about how the smith design the sword. Well I think that's why the antique swords' balance point could be anywhere(a little bit turgid but indeed there is no standard"I more wish to know something about making a well-designed sword. The points "it is bad to balance the blade by a big counterweight ball,European way for balance the blade is simple and crude” are actually from some Chinese people (I thought they may were trying to said something like"Chinese swords are better" but if that is what they mean,that is a big mistake because most of Chinese sword have a big copper pommel for put the balance point back. On a good Chinese jian, the pommel helps balance the sword. Mostly, to put the pivot point close to the tip (where the actual point of balance is doesn't matter much). On a lot of Chinese dao, the pommel isn't there as a counterweight. Instead, it helps stop the wooden grip from splitting, and is something hard to peen the end of the tang against. 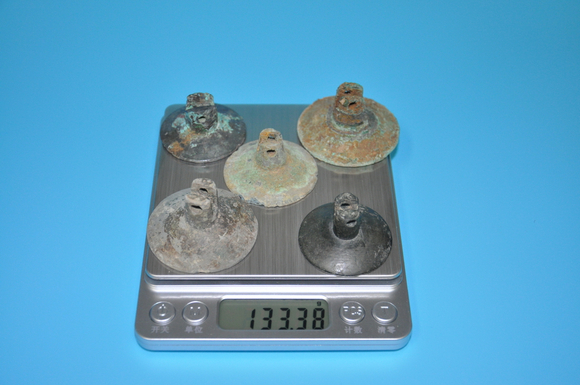 GIven how common dao were, I wouldn't say that most Chinese swords had pommels as counterweights. Something which I don't think anyone has mentioned in detail yet are the dynamic effects of the pommel on a sword - that is, how the pommel effects the way the sword moves when swung for a cut. This is somewhat different from the static balance of a sword, so although the center of gravity/balance point of historical swords may differ quite a lot, apparently the dynamic properties of cut-and-thrust swords are usually much more similar (and also often apparently requires much less mass to correct/adjust for a well made blade). If you search for some of Vincent le Chevalier's old posts on this topic, you'll find he did a lot of work on mathematically modelling swords in motion, backed up with measurements from actual swords or accurate replicas of them. I think he is still active here - perhaps he will say something about this himself. There are also various posts on this site by modern sword smiths who seek to replicate and understand the design of medieval European swords, and who have often developed considerable insight into this. Finally, have a look at the articles on Oakeshott on this site (and get his books if you can find them). Hopefully that will furnish some acceptable documented evidence to support your argument. Good luck! This is, in my experience, fairly typical. Point of balance is at 43% of the overall length from the end of the pommel, which is normal. Maybe a little heavy. The pommel is a flattened ball, hollow. On this particular sword, I can measure the thickness of the pommel walls: just under 1mm. The pommel is 40mm from front to back. Modelling the pommel as a 1mm thick sphere, 20mm in radius, the estimated weight is 40g. This is an overestimate; the actual pommel will be lighter because there is a hole in the base for it to go over the wooden grip core. so the POB is moved 12mm (1/2"). This doesn't significantly change the handling of the sword. Very good point in this discussion, Andrew.